From one Keelung visitor to another, these are my top 5 practical tips to make your visit to Keelung a little smoother. Read on and see how easy it is to enjoy your stay in this beautiful city of Keelung. iTaiwan’s free Wi-Fi is a government initiative that started back in 2011, providing members of the public with Wi-Fi access in indoor public locations such as tourist information centers, museums and libraries. If you have a local phone number, it’s very straightforward and you are unlikely to meet any issues. If not, you can still access iTaiwan free Wi-Fi as provisions have been made for the short-term Keelung visitor. The instructions I found on the official website made it seem very complicated—first you have to register for an account online, then you activate your account, and following this “you can be expounded by the service personnel in Taiwan”…. WHAT??! It’s actually a very quick and easy process. You go to any tourist information in Taiwan, show them your passport, and they will sort out an account out for you in two minutes flat. The iTaiwan website suggests that only major train stations and certain tourist information centers are able to perform this service, as far as I have asked, every tourist information center I have come across are willing and able to help you out. From the Airport- Tourist Information Centers can be found in all airports across Taiwan. 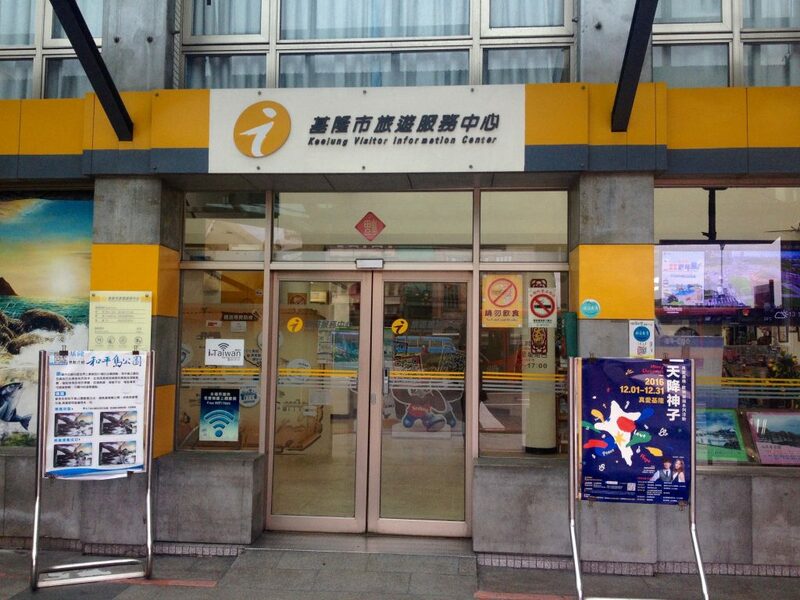 In Keelung- The tourist help desk in Keelung Station has closed permanently, so head straight to the Tourist Information Center right by the train station. Keelung Tourist Information Centre. See the iTaiwan Wi-Fi sign on the leftmost window? Note: EasyCard and iPass cards issued by separate companies, but they do the same thing. One is just as good as the other. Public transportation is very affordable- 15NTD within the city, 30 further out and 55 to Taipei. Most buses are congregated around Keelung Harbor. Buses do accept cash, but no change is given. The easiest thing to do without having to carry around pocketfuls of coins everywhere is to buy a transportation card (an “EasyCard”) from any convenience store. The card on its own is 100NTD, and you tell the person at the convenience store to top it up with however much credit you want. Unfortunately the system has yet to be rolled out nationwide, but for our purposes, the card works on all bus services in Keelung, life if better for the Keelung visitor! The EasyCard also covers Taipei City and New Taipei City, including the Taipei Metro (20% discount over token fee!) and certain train lines. If you are traveling more extensively, check out the Click Here to see if you can use your card where you are going. At the end of your trip, your 100NTD and any remaining balance, minus a 20NTD handling charge, can be fully refunded at Information Counters of any Taipei Metro Station. If you are not ending your Taiwan trip in Taipei, there is the option of posting your card to EasyCard for refund processing, with delivery and handling costs deducted from the final amount. That said, I’m keeping mine as a souvenir! 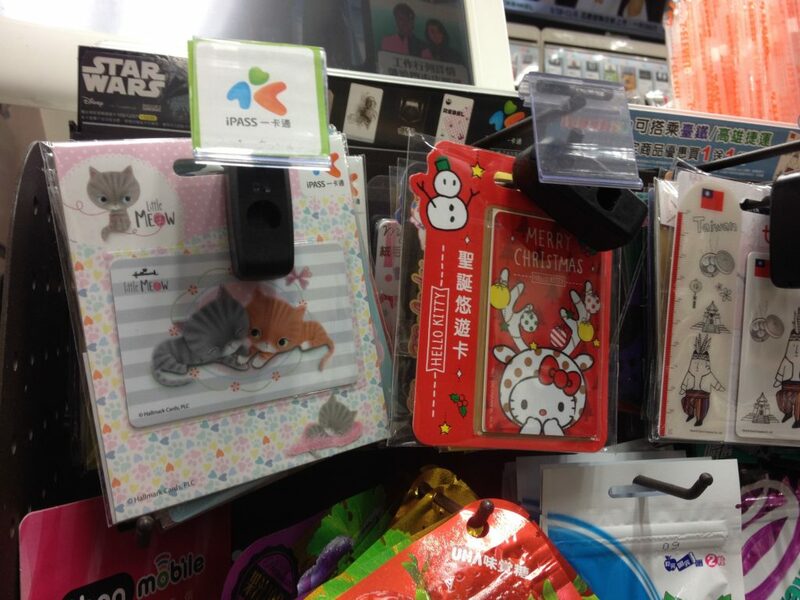 Seasonal transportation cards in 7-Eleven! Every Keelung visitor should know that Keelung is known as the port of rain. I never even knew that something like this was possible, but rain poured relentlessly for a week. 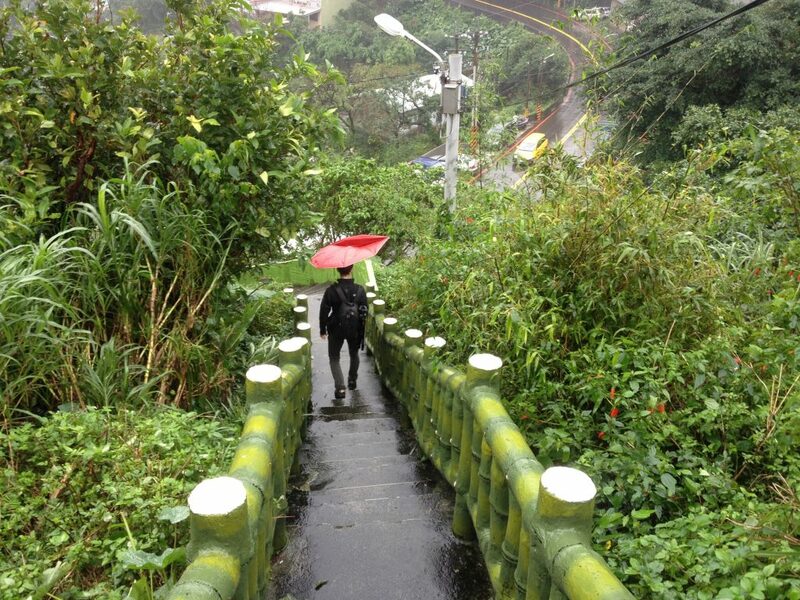 Keelung locals seem to take it in stride, embracing their rain boots and stomping in puddles while I slipped and slid around the streets in my flip-flops. Make sure you pack appropriate footwear and a nice, sturdy umbrella. My friend Curtis bought the cheapest umbrella he could find, and it didn’t stand a chance, giving out on day one. Mine also just broke this morning. Don’t make the same mistake—the cheapest umbrella is no longer cheapest if you have to buy a second umbrella to replace your broken one. If you are stuck what to do on a rainy day, here are some ideas. Alternatively, soldier on and do what you originally planned to do. After all, museums aren’t for everybody. It may even be a blessing in disguise, as the rain means that you get the place to yourself while everybody else huddles indoors. I had issues getting money out of ATMs in Taiwan, and when I spoke with friends it seemed like a recurring issue. Taiwanese ATMs are simply not foreign-card friendly, and to save the potential stress it is a good idea to have your travel money in cash. If that is simply not an option, make sure that before leaving your home country, you do every in your power to eliminate potential issues. Update your travel information with your bank so they don’t mistake your usage as fraudulent. Look up where the closest branch of your bank is in case you run into issues. Don’t be put off by how far away the various attractions seem to be. It actually takes very little time to get to various attractions such as Badouzhi and Jiufen. The reason why Google maps estimates times of well over an hour is because they factor in the waiting times for the buses. Some of these buses run on a fixed schedule, and these buses tend not to come very often. Once you are on the bus, it actually takes very little time. 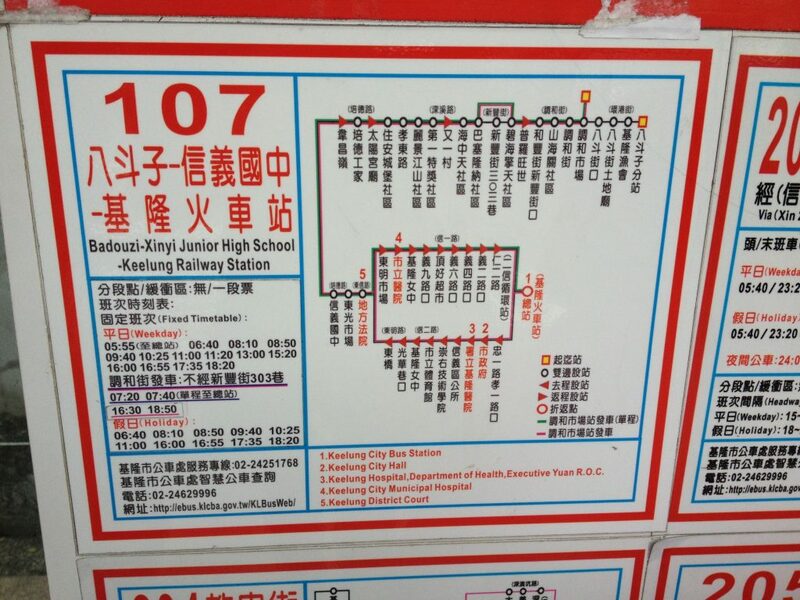 Being organized and looking up the bus timetables can save you from a lot of restless waiting, especially so if you aren’t planning on spending much time in Keelung. Bus timetables are up on every bus stop. Even if you can’t read Chinese, they are pretty easy to navigate. While we on the topic of buses, a word of warning—some of these buses do not run at night. The last bus from Badouzi back to Keelung, for example, runs at 6.45pm. So watch the time, or you might yourself stranded and forced into an unplanned, expensive taxi ride! Hello, my name is Joanne. I'm twenty one years old, a law school fresh grad and an idealist. I'm spending a wonderful year traveling , learning and forging new friendships.